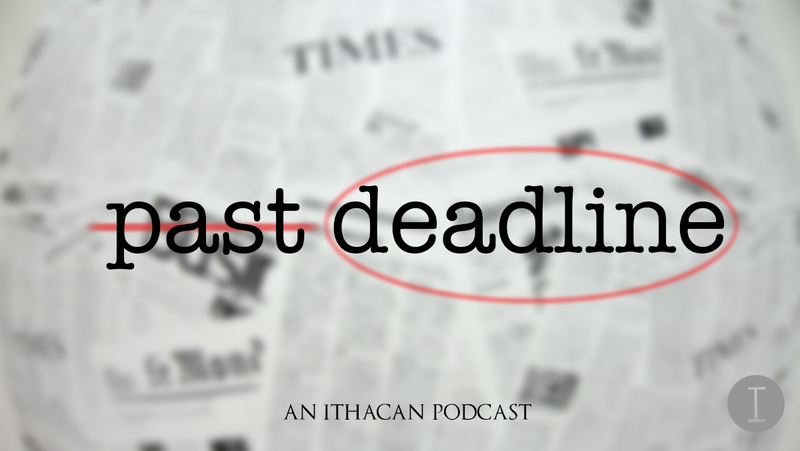 On this episode of “Past Deadline,” host Sierra Guardiola talks with Staff Writer Rachel Heller about her article on the Trump administration’s potential removal of protections for transgender people. One Ithaca College professor is studying how effective news personalization is and how news consumption is affected by distracted readers. In one day, Aug. 29, the Ithaca College mail center received 2,050 packages. One thing I promise: Keeping up with the news is endlessly fascinating, and it has the added benefit of making you much smarter. Editors from The Ithacan give you a heads up on what to expect in this week’s upcoming issue for September 18, 2014. Television news headlines from the week of April 20-26, 2014. Editors from The Ithacan give you a heads up on what to expect in this week’s upcoming issue for April 24, 2014. As this month commemorates the 20th anniversary of the Kurt Cobain’s death, I am reminded of the iconic headlines that alerted the world to the tragedy. Ithacan editors give you a heads up for what to expect in this week’s upcoming issue for April 10, 2014. The Ithacan editors share what to expect in this week’s April 3 issue. A roundup of television news top stories from the week of March 23-29, 2014.